As the inaugural USL League One season inches closer to kickoff, teams across the league are busy preparing not only for 2019 but the future that lies ahead. While a lot of the short-term preparation revolves around roster construction and community outreach, much of the long-term planning is focused on finding, and oftentimes constructing, a permanent home. For Chattanooga Red Wolves SC, Greenville Triumph SC and South Georgia Tormenta FC, that is certainly the case. The clubs are set to play the 2019 season at David Stanton Field, Legacy Early College and Erk Russell Athletic Park, respectively, but are in the process of developing new stadiums that will provide stability and economic development to their local communities in the future. 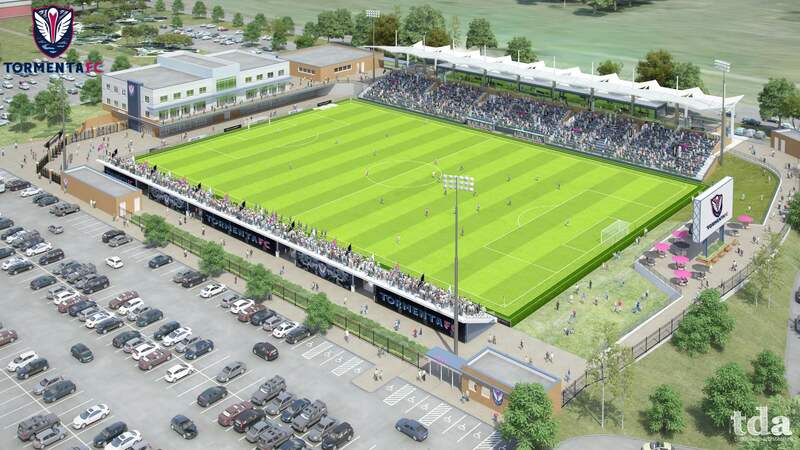 In June 2017, Tormenta FC released early renderings of a soccer-specific stadium that is expected to be ready ahead of the 2020 season and will seat over 5,000 fans as well as incorporate retail and office space. Van Tassell believes that developing a community and neighborhood around the stadium will make Statesboro a more exciting city for its residents. While bringing the community together on game days is certainly key to the club’s success, Van Tassell understands the main challenge is breathing life into the stadium outside of the team’s 28-game regular season. Tormenta FC has partnered with Georgia Southern University’s soccer program to help maximize the future use of the stadium, while the planned office and retail space will make the venue a local hub for meetings, receptions and other events. Nearly 200 miles north of Statesboro, Triumph Vice Chairman and Chief Brand Officer Doug Erwin is looking at a few potential stadium sites in Greenville that would each be part of a larger development. The goal, Erwin says, is for the stadium to eventually become the hum for soccer in Upstate South Carolina, playing host to the Triumph as well as local high-school and collegiate contests. While the club has yet to commit to a timeline for the project, Erwin is preparing for every long-term possibility, including the potential to increase the stadium’s capacity to something closer to 10,000 seats if the club deems it necessary. In the short-term, the Triumph will soon begin construction on its temporary home at Legacy Early College after coming to an agreement to renovate and use the venue in November. 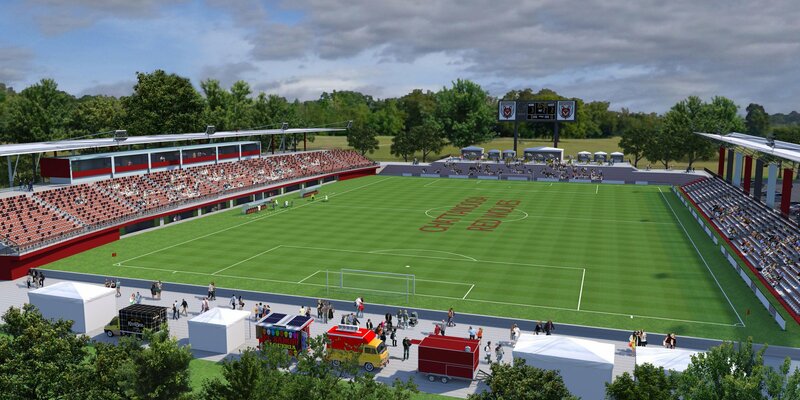 The project will involve building temporary stands to accommodate approximately 4,000 spectators, upgrading the playing surface to bring it into FIFA compliance and creating part-time game-day jobs for Legacy scholars. In Chattanooga, Red Wolves SC Owner Bob Martino is excited to deliver a professional soccer experience and a state-of-the-art, soccer-specific facility to the local community. 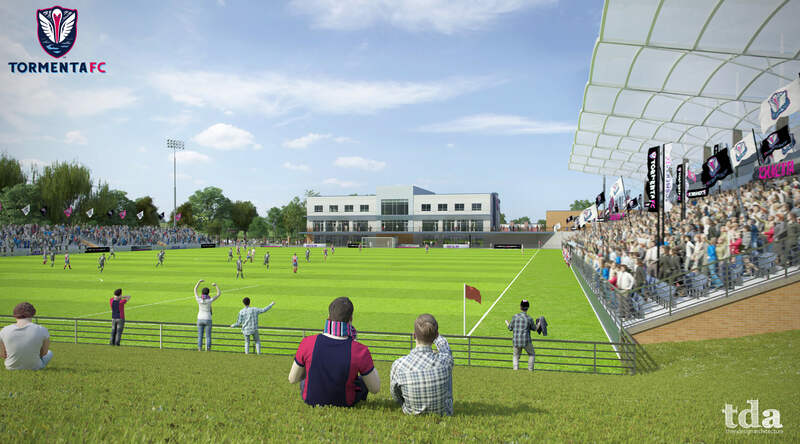 The club announced in October its plans to construct a first-class soccer stadium that will include skyboxes, a fan zone, and several dining options and hospitality areas including a beer garden. Martino, a real estate developer, is also considering building up the area around the venue, which is expected to be ready for play in 2020. Groundbreaking could begin as soon as Spring 2019. 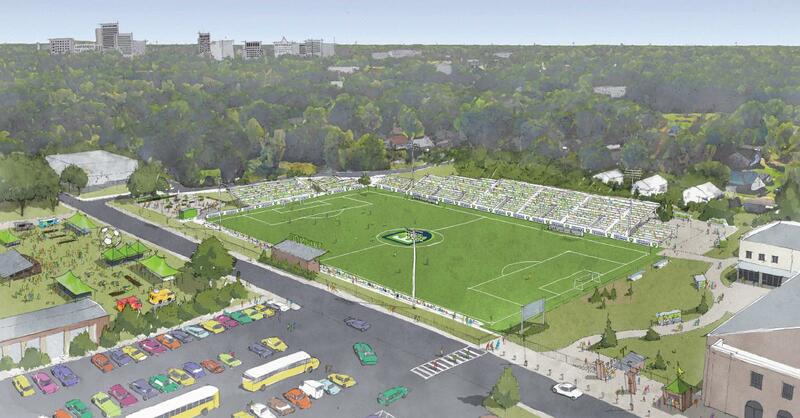 All three stadium projects will not only provide their respective soccer clubs with a permanent home but be pillars for the community, the clubs and its fan bases to rally around for years to come.